Using GPS technology, altek’s Smart Nozzle system allows the individual and independent control of each nozzle on the spray line, effectively making each nozzle a section. The Smart Nozzle technology gives growers retro fit access to high grade precision in crop protection. Smart Nozzle is operated by altek’s range of pneumatic valves, such as the Direct Control or Multi Spray bodies. The use of different types of valves relies entirely on the customers specific requirements. The diagram below shows how simple the system is to install. Even if the sprayer does not have GPS or air as standard, altek can fit these components to ensure Smart Nozzle can be retro fitted to almost any make or model of sprayer. 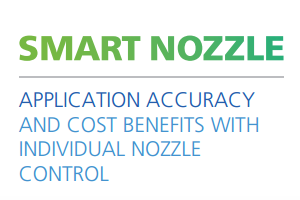 Due to over and under application becoming impossible with Smart Nozzle, current users are reporting chemical savings in excess of 10 percent. Smart Nozzle will also measure and log the exact hectarage of each field, ensuring the sprayer is only filled with the exact amount of chemical required, reducing wastage of chemical during washing out operations. Smart Nozzle users who are also implementing Liquid Fertiliser applications of their farm are reporting cost savings of 15 percent and above alongside increases in yield due to reduced crop damage caused by repeated over or under application that is common when using sprayers with standard boom sections. Below is a video, taken by a Smart Nozzle user during pre-emergence application work when approaching an awkward field headland that had already been sprayed. As you will see, each nozzle is turning off automatically along the boom, with the operator focusing only on speed and steering. 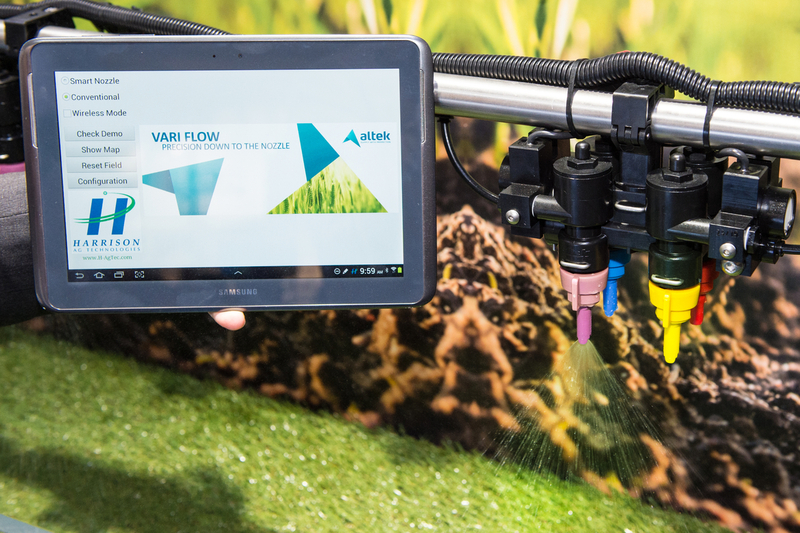 The altek Vari Flow System provides variable flow control of each nozzle position along the spray boom. This allows for variable rate application of liquid fertilizer or plant protection products down to 50cm2. Headland management ensures correct applications is applied at each nozzle position when making turns – no over or under application. Each nozzle position flow rate is controlled separately. The nozzle positions have clusters of 4 individually controlled nozzles. (24m at 50cm spacing = 192 independently controlled nozzles). The application rate is determined by the high definition prescription map in addition to the speed and direction of travel. We no longer send excess chemical back to the manufacturer as we only buy the quantities we need. We were expecting the reductions in overlap to bring slight savings in chemical applications of around 4-5%, but in reality the savings we have seen are a minimum of 10%. My original objective in purchasing the Smart Nozzle system was to reduce the unacceptable overlap as my sprayer – an Alanco Sprayranger – had only three sections on an 18 metre boom. Now we see our chemical use reduced by 13-14%. The initial cost of the system was recouped in less than 3 years on a 500 acre farm. 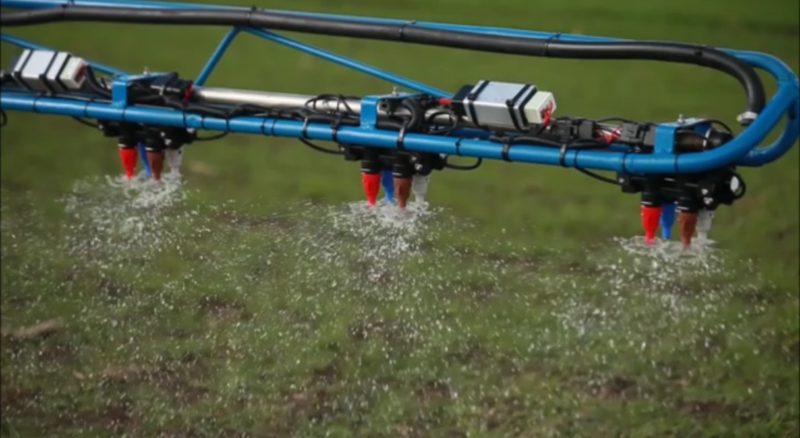 An unexpected benefit of the system was the sheer ease of use in the field with the Smart Nozzle system taking care of all of the nozzle switching, and the fact that the system can be easily transferred should the sprayer be changed. This is our second Smart Nozzle system. Our original system was fitted to a nine year old Knight Laser sprayer. We have a lot of irregular shaped fields so it is very difficult to avoid ‘double dosing’ which was easy to spot, particularly after a liquid nitrogen application. 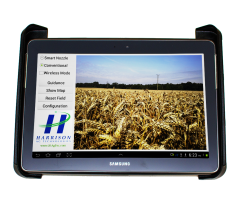 The savings on chemical, time, operator fatigue, and reduced crop damage made it an easy decision to have the latest Smart Nozzle system fitted when we purchased a new Hardi Navigator 2 years ago.